In the final part of this series on prepping container images for OpenShift, learn some best practices for container security, networking, logging, and self-healing. This is a transcript of a session I gave at EMEA Red Hat Tech Exchange 2017, a gathering of all Red Hat solution architects and consultants across EMEA. It is about considerations and good practices when creating images that will run on OpenShift. This fourth and last part focuses on the specific aspects of cloud-ready applications and the consequences concerning the design of the container images. The reference in term of requirements for cloud readiness is The Twelve-Factor App. OpenShift makes the creation of such applications easier. In previous parts of this blog, we have seen how you can create images that, for instance, make it possible to store configuration in the environment, to separate build and run stages, and to expose ports for binding services. We will now cover other points: processes, concurrency, disposability, and logs. We will then go further with aspects like self-healing, security, and the externalization of technical functions from the application code to the infrastructure. In the previous parts of this blog, we have seen that it is recommended to have a single process running in a container. OpenShift can then monitor this process and signal handling is easier (signals are simply directed to the process). This also allows us to horizontally scale the process independently by starting a new container instance. When there is a need for a second process communicating with the first one through shared memory, local network, or file system, the best approach is to have a container for each process as part of the same pod. Monitoring and signal handling work unchanged. It is, however, not possible to scale independently anymore. For legacy applications, it may still be required to have several processes as part of a single container. In that case, the recommended approach is to use systemd containers. Systemd will receive signals and manage child processes accordingly. Cloud native applications are best stateless, meaning that the state may be delegated to a NoSQL, RDBMS, or data grid backend. It makes upscaling and downscaling, automated failure recovery, and zero-downtime upgrades easier, as each instance can be considered independently. That said, stateful legacy applications might still benefit from running as containers on a PaaS like OpenShift. The challenge here is that containers are best considered as pets from the pet vs. caddle analogy. Toolkits used for synchronization in a cluster like JGroups need to adapt and may need to interrogate the OpenShift API or use a discovery protocol for retrieving the members of a cluster. The cluster may also not rely on fixed identities, as containers may be stopped and restarted with different IP addresses and on different hosts. Statefulset, which is still in beta in Kubernetes 1.8 and in technology preview in OpenShift 3.6, is useful for supporting “pets” in OpenShift and running workloads like Elasticsearch or applications using Zookeeper. This was quite a digression from the primary focus of this blog: container images for OpenShift, but these considerations are critical when you design your applications and the container images that package them. The container is taken out of the service and route rotation for request handling. A SIGTERM is then sent to the application, which needs to finish processing in-flight requests, release resources, and shut down. If the container hasn’t terminated in the allocated time, it receives a SIGKILL. When you create your application and container, you need to support this so that your application behaves nicely in a cloud environment. When running applications inside containers, the recommendation is to write logs to the standard output. They are then gathered by journald running on the host. With OpenShift, they are made available in the web console or through the CLI. OpenShift also supports a Fluentd daemon per host that collects application and infrastructure logs from journald and sends them to an Elasticsearch cluster running on OpenShift or to the customer infrastructure for log aggregation. You can then build in Kibana cross-container and cross-application queries and dashboards. Another aspect seen in the second part of the blog is that it is best to run containers read-only, which is also achieved by writing logs to the standard output. Sending logs directly from the containerized application to a remote aggregator (Rsyslog, Fluentd, Logstash server) may be acceptable, but logs are then neither visible in the OpenShift web console nor accessible through the CLI. With legacy applications, it may not be possible to have the process writing directly to the standard output. In that case, the sidecar container pattern is the best approach. A sidecar container is a container collocated with your application container in the same pod. Both containers share volumes, including emptyDir. You can create a file backed by a fifo (mkfifo) on the mount point of the emptyDir and have your application write logs into it. The process inside your sidecar container can then read the logs from the fifo and forward them to the standard output. OpenShift provides self-healing mechanisms that improve application resilience. As mentioned in the second part of this blog they rely on readiness and liveness probes, which allow the orchestration platform to know about the health of your application. Probes provide a binary result: OK/NOK. Liveness probe: It states whether the application is properly working. When a liveness probe sends a NOK result, OpenShift restarts the container, which brings it back to its initial state. Readiness probe: It states whether the application is able to process requests. When a readiness probe sends a NOK result, OpenShift does not forward any request (from services or routes) to it. It may be the case because your application has not finished starting or because it is waiting for the availability of a dependency like a backend service or data store. Restarting a container would not help in that case. When the probe eventually sends an OK back, the container is put back into the rotation for processing requests. Liveness and readiness probes can either be implemented as shell scripts inside the container, HTTP, or TCP sockets. When a shell script returns 0, it is OK. Anything else is NOK. A 200 is OK for HTTP, and anything else is NOK. If a connection with a TCP socket can be established, it is OK, otherwise, it is NOK. When no probe has been defined, OpenShift will, per default, monitor the process. As long as it runs, it is OK. It is the responsibility of the image creator to define probes that accurately represent the state of the application. Externalization of technical functions. What does that mean? Many non-business functions like access control, circuit breaking, client-side load balancing, routing, tracing, request rate throttling, and policy enforcement have historically been built within the application code. Later implementations may have used libraries like Hystrix, Zipkin, and others. These functions, orthogonal to the business logic, can be externalized from the application code by using API gateways or the sidecar container pattern mentioned above. Projects like Istio are looking at that. The aim is to have a simpler, cleaner application code focused on business logic. Security is a broad topic. I will just list a few points here that need to be considered when you create container images. What is installed inside the container. The capabilities required for running the container. By avoiding root privilege, the mount of the host file system, or binding host ports when it is not required. Running privileged operations like setting access rights on the file system at build time. Accessing protected repositories or running special operations at startup through init containers so that credentials are not part of the container running the application. Access to the application by using API gateways and sidecar embedded reverse proxies, besides what can be done at the network level. Resources (CPU, RAM, storage, network bandwidth) that can be consumed by the container. Having an SSH daemon running inside the container: docker or oc exec can be used instead. Sudo, as it has unpredictable TTY and signal-forwarding behavior. Setting default passwords in the image. Support arbitrary user IDs. NSS wrapper can be used for user mapping when it is required by legacy applications. Another aspect of security is guaranteeing that your image is what it pretends to be. Container image signing is done for that. Finally, you should keep your container images up-to-date and apply security patches whenever they are made available. OpenSCAP can help you with identifying security risks in that respect. 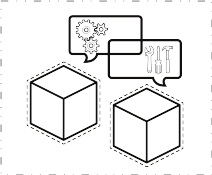 You have now reached the end of my blog series on container images for OpenShift. I hope this was of value to you. Happy coding! Published at DZone with permission of Frederic Giloux , DZone MVB. See the original article here.